The Adelaide Crows won their inaugural Premiership in record-breaking fashion - just seven years into their existence in the AFL. The Crows staged a gallant come back against the minor premiers St Kilda, roaring back from 31 points down to become the fist side ever to win four finals to clinch the premiership. You could argue their road to their second consecutive premiership was even tougher, having to grind through wins on the road against Sydney and Western Bulldogs to again overcome a sizeable deficit to claim Premiership glory over the red hot favourite North Melbourne. 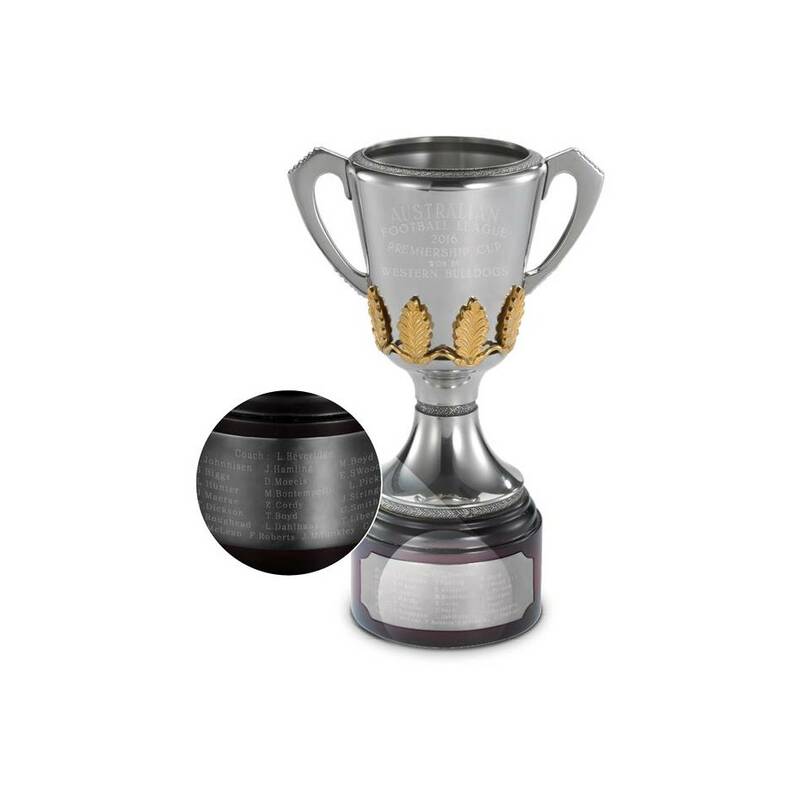 Commemorate Adelaide's Premiership triumphs with a collectable pewter replica of unrivalled heritage and splendour. Each handcrafted Cup is composed predominantly of refined tin, with small proportions of antimony and copper added for strength and durability.